Fasting is normally associated with the holy month of Ramadan in which billions of muslim around the world abstain from eating and drinking from dawn till dusk. The fast is intended to bring the faithful closer to Allah and remind them of those less fortunate. The term intermittent fasting is the type of diet getting popular these days in order to lose weight. Intermittent fasting advocates suggest it not as a diet plan , but an eating pattern. It does not include any rules about what foods to eat, but rather when to eat . It revolves around the periods of fasting and non fasting days. Fasting for 16 hours each day and restricting daily eating time to 8 hours . It includes 8 hrs of sleeping time also. The 5:2 diet is the most common type of intermittent fasting often accompanied by keto diet. It involves eating low carbohydrates high fat meals for 5 days and then two fast days in which the recommended caloric intake for women is 500 kcal in a day and for men is 600 kcal. Alternative day fasting means eating every other day . On fasting days many dieticians suggest only liquid diet or taking very low calorie diet in which only 500 calories are allowed in a day. The worrier diet which comprise of one big meal at night and fast all day eating nothing or small amount of low calorie fruits and vegetables throughout a day. Skipping 1 or 2 meals daily when you are not hungry or don&apos;t want to cook. 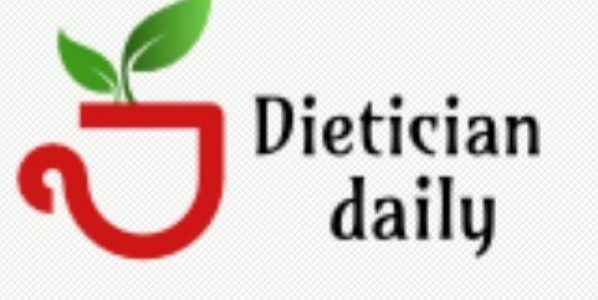 24 hours fast diet , two times a week in which only fluid is allowed but no solid foods. During fasting state, when the individual not eat for many hours, the body breakdown glycogen reserves for energy in order to work normally. Once the glycogen reserves have been used up , the body starts using fat deposits for energy which in turns may initially results in weight loss. Due to fat loss many toxins stored in a body fat are also removed from the body resulting in Detoxification. Fasting for many hours helps in regeneration of nerve cells. During starvation, the body works to save energy, and for it the only thing is to recycle the immune cells that are not needed, especially those that are damaged. Fasting also helps to maintain the normal levels of insulin and lipids in blood. Over 50% of the rapid weight reduction is fluid, which may results in Serious hypotension problems. Excessive Tiredness and Sleeping disorders as a result of starvation may cause headache and nervousness? Food deprivation or fasting for many hours may end up in eating more than usual and binging. Muscle loss may occur as a result of proteins deprivation from food which can lead to organ failure. That is why individuals with prolong fasting are more prone to cardiac , kidney and liver disorders. Wrong choices of food particularly when intermittent fasting is accompanied with keto diet in alternative days may lead to inflammation and ulcers and normally end up with weight gain rather than weight loss. Accumulation of uric acid can contribute to the episodes of gout or Gallstones. Frequent episodes of hypoglycemia can occur in some individuals who are either diabetic or have problems with blood- sugar regulations.